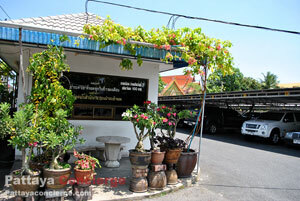 There are several options for those who are going to Ko Sichang by starting from Bangkok. Firstly, public bus transport service, visitors can take one from Ekkamai or Mo Chit 2 to Sriracha. After arriving in Sriracha City (Robinson Department Store or Tuk Com Sriracha), take a motorcycle or a vehicle named, Tuk Tuk, to Koh Loi (Koh Loy) for approximately 50-60 Baht. You can then take a ferry there for 40 Baht. Another option is a van transport service from Bangkok to Sriracha. In general, visitors take a van from Chai Victory Monument. The ticket is about 100 Baht. They will send you to Robinson Shopping Center, Sriracha. What about Pattaya to Sriracha, as there is no the 1st class bus to Sriracha, the option recommended here is to take a 2nd class Air-conditioned bus from Sukhumvit Road to Sriracha. It would take about 45 minutes to Robinson Sriracha. 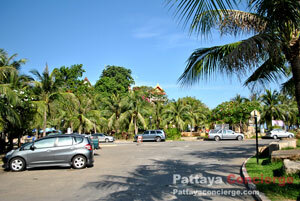 Then, take a motorcycle taxi or Tuk Tuk to Koh Loi Sriracha. 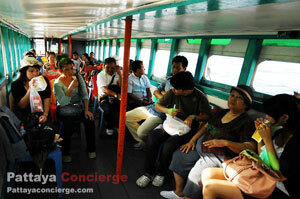 Currently, visitors need to pay 50 Baht for Sichang-Sriracha ferry ticket. In general, the departure time is every hour. What you need to remember is the last ferry either from Sriracha or Koh Sichang - 20.00 (for Sriracha Kosichang), and 18.00 (Koh Sichang to Sriracha). However, in case that there are lots of visitors to go to Ko Sichang, the departure time of ferry will depends on when the ferry get full. The ferry normally takes about 45 minutes to get to the other side. Although Ko Kichang is far from the mainland than Koh Larn, the transferring time is similar. Perhaps, it is because the ferry is smaller. To get around the island, most visitors take a vehicle called Skylap (the larger Took Took) because it can carry six people at the same time and it is not expensive, only 250 Baht. This Skylap will travel to 5 main area on Koh Sichang (Father Hill, Chong Khao Khad, Stone Inscription of King Rama V, Ancient Palace, and Taampang Beach). Each drop point, the driver will let visitors travel around by themselves and when finishing looking around that area the come back to get on the Skylap at the place visitors dropped. (Visitors can call them if they are not there at the time they want to get on) . Motorcycle Rental is an alternative option for travelling around on the island. Its rental price is 250 baht per day (300 Baht if over night), or 80 Baht per hour. For this option visitors can travel around by themselves but one motorcycle can carry only two people. There is also motorcycle taxi at the ferry port. Visitors who drive a car to the port on Koh Loi Sriracha can park the car on the area around because there is a large space for carpark. However, for those who are a little worried about their own car, they can park at a paid car park in the city, approximately 150 Baht per night. 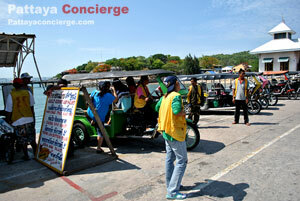 It is a safer choice, but visitors need to take motorcycle taxi or Tuk Tuk to come back to the port. * Recommend, drop your friends at Koh Loi first in order to pay less for motorcycle taxi when you need to come back to the port. ** Visitors can pay to motor cycle from Koh Loi to lead them to a paid car park. This would be a great option because visitors need to take a motor cycle back to Koh Loi any way.